I can’t believe we are only 4 days away from Christmas! This year has truly flown by. Its hard to believe that 2016 is just a little over a week away. 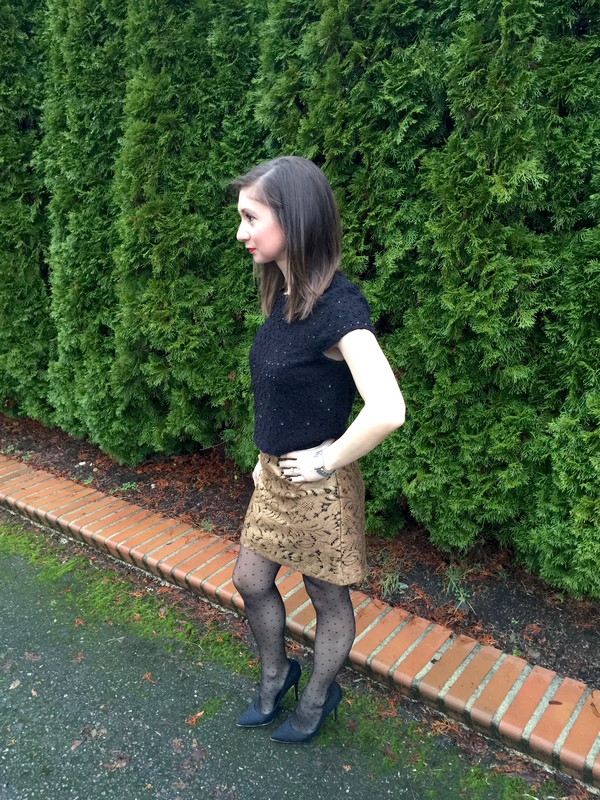 With only a few days until Christmas, there are still holiday parties and dinners on the books to close out the year that sometimes require a last minute outfit selection. I don’t know about you but I love buying new holiday dresses every year. However, when you have multiple parties to hit, it can get expensive. To avoid spending too much on holiday outfits around the holidays, you can pick your favorite dress and favorite top that’s already in your closet, put them together, and just like that, you have a new ensemble. 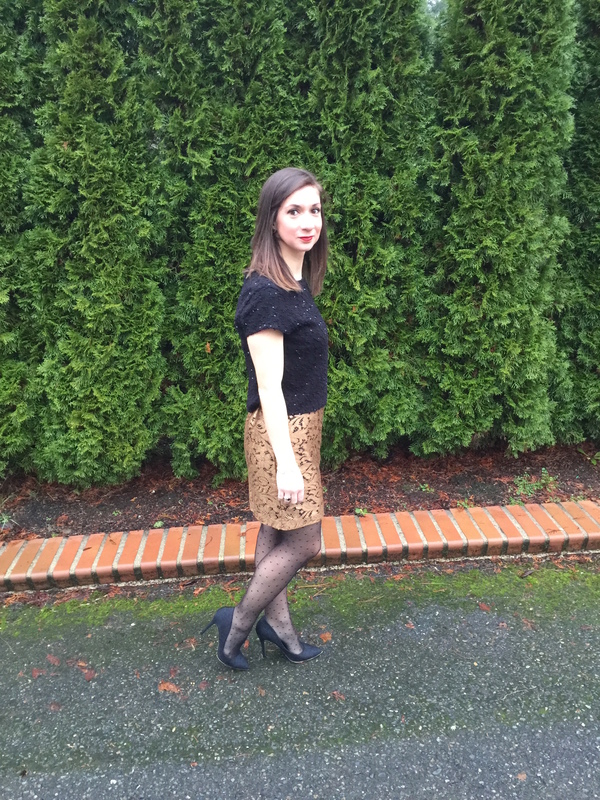 I put this outfit together for a holiday party last week and I wore everything I already had in my closet. 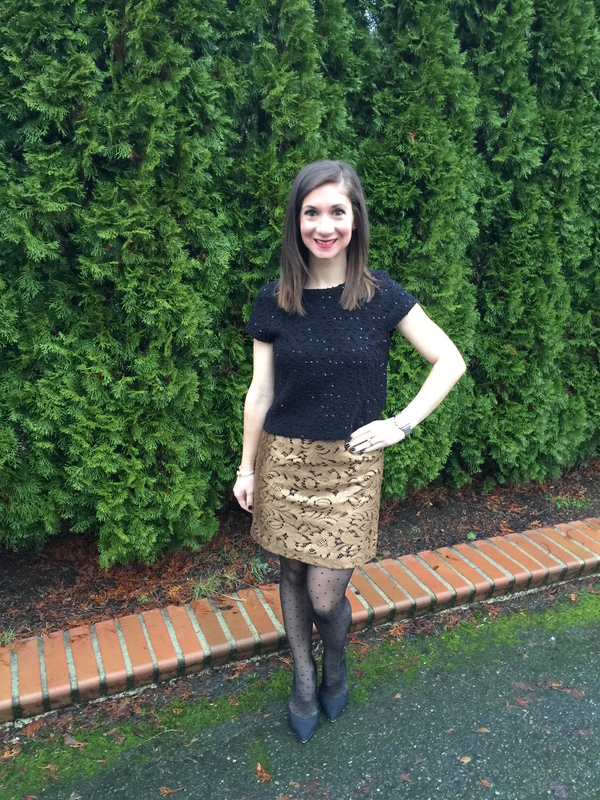 This dress was one I wore last Christmas and instead of wearing it as a dress, I decided to throw on one of my sequin crop tops to give it the skirt look. The only thing I bought were the tights because I needed a new pair. If you have a holiday party or dinner this week that you don’t want to buy an outfit for, pick one of your favorite dresses that you already have, grab a sweater or crop top and wear it over it. It creates a completely different look and makes you feel like you are wearing a new outfit. Sounds like a win-win situation to me. Merry Christmas! Enjoy every moment of these last 4 days until Christmas!